If you’re going to get mad at me every time I do something stupid, then I guess I’ll just have to stop doing stupid things! 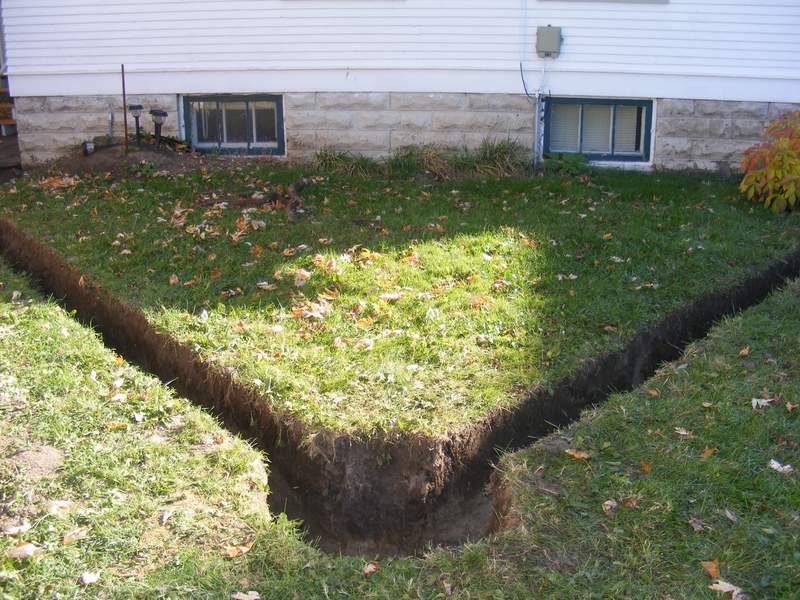 One of the solutions to window well drainage problems that I mentioned last week, was a dry well. 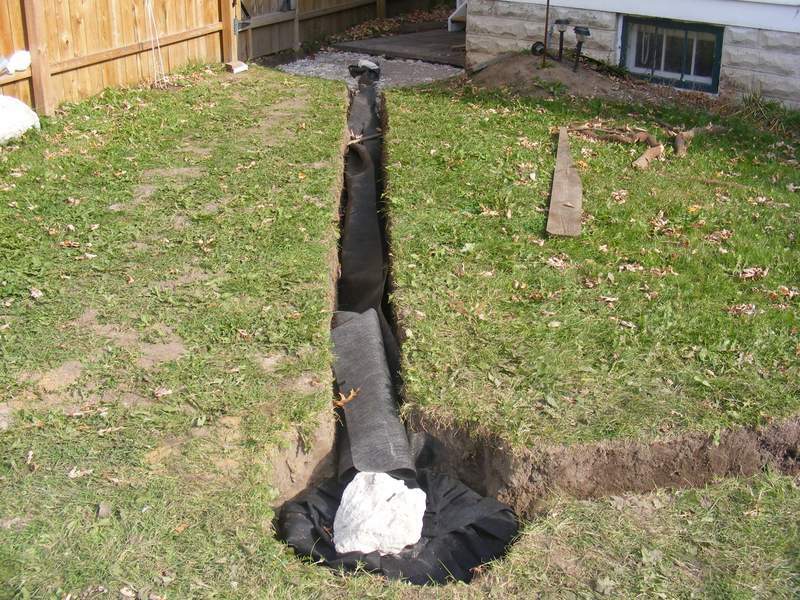 A few years ago, we installed a dry well as part of an effort to keep rainwater out of the basement. To begin, we laid out all the components of our drainage system. Laying out the components of the drainage system leading to the dry well. We dug a pit for the dry well. The pit we dug for the dry well. Note the trenches for the drain tile. 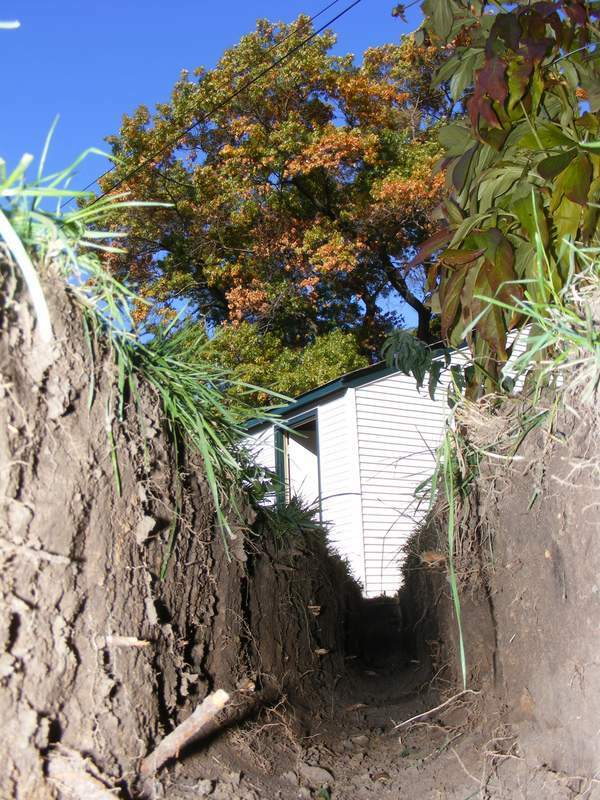 Then, we dug trenches from the back of the house to the pit. The fall on the trenches is 1 inch every 4 feet. The pit and trenches were lined with high quality landscape fabric. We left enough fabric to wrap around the contents of the trench at the end. Then, we poured a layer of gravel over the landscape fabric in the bottom of the trenches and the dry well pit. Six inch catch basins were used at each corner of the house. 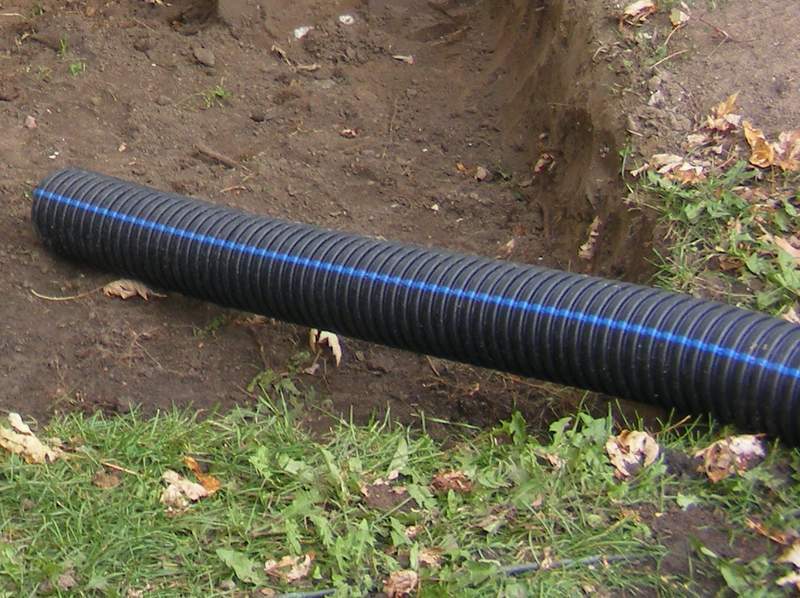 One collects water from a downspout, and the other one drains a paved area. A large drum went into the dry well pit. The drum was filled with large rocks. The rocks prevent the drum popping out of the ground, or being crushed. 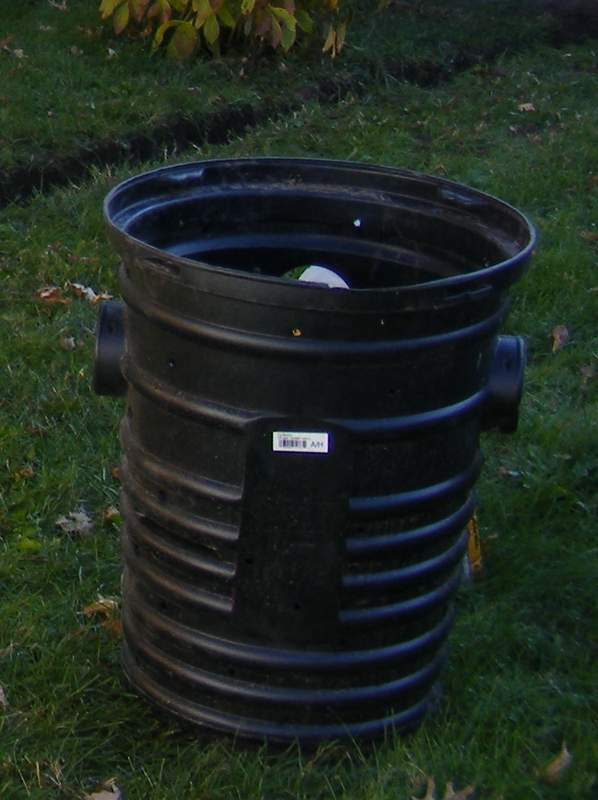 The fifty five gallon drum for holding water in the dry well. 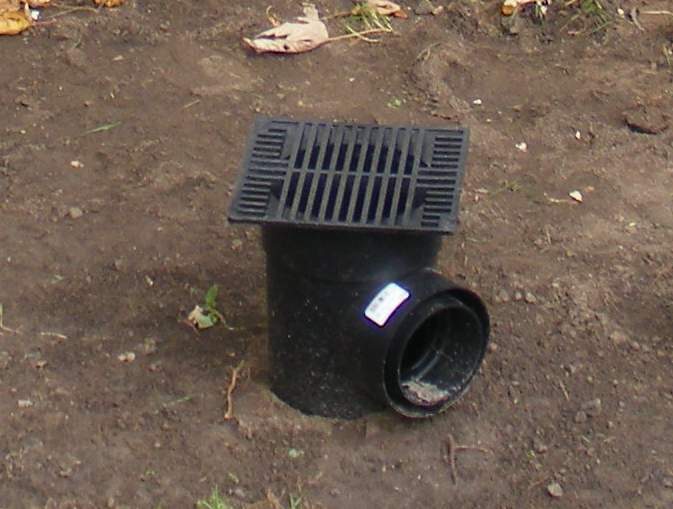 Plastic drain tile in the trenches connects the catch basins to the dry well. We poured gravel around the catch basins, dry well drum, and drain tile. Then, we wrapped the landscape fabric over the top of the whole lot. We finished by topping off the trench with soil up to ground level. Water is carried to the dry well, from where it seeps away into the soil. This system works very well for us, and we rarely have water infiltrate the basement any more. 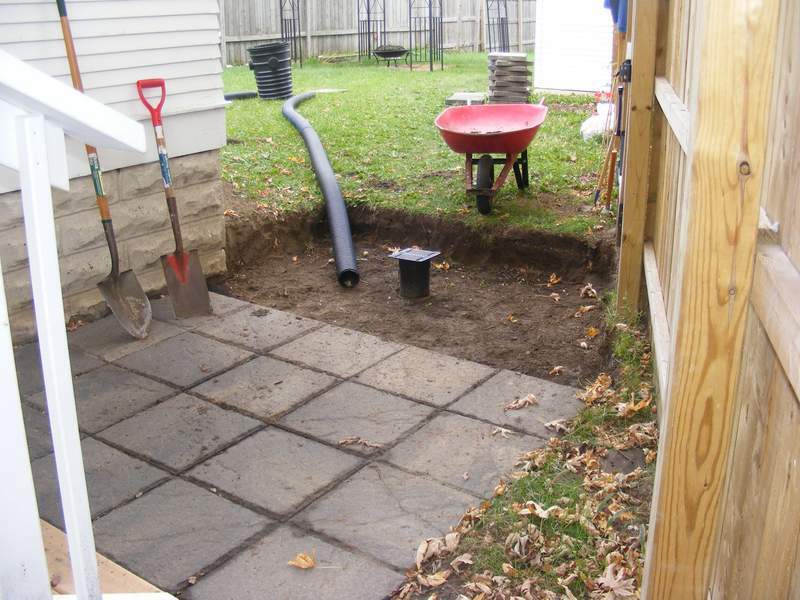 This entry was posted in Outdoor Building Projects, Yard & Garden and tagged catch basin, drain tile, drainage, dry well. Bookmark the permalink. What a great entry! Thanks for the detailed description & photos. With Hurricane Matthew headed our way (southeastern VA), my husband & I need to address the heavy flooding our yard gets from plain old storms. I’ve sent him a link to this page & look forward to us not having 7 inches (or more!) sitting in our yard this time next week. Larissa, thanks for the nice comment, and good luck with the hurricane — hope it misses you!